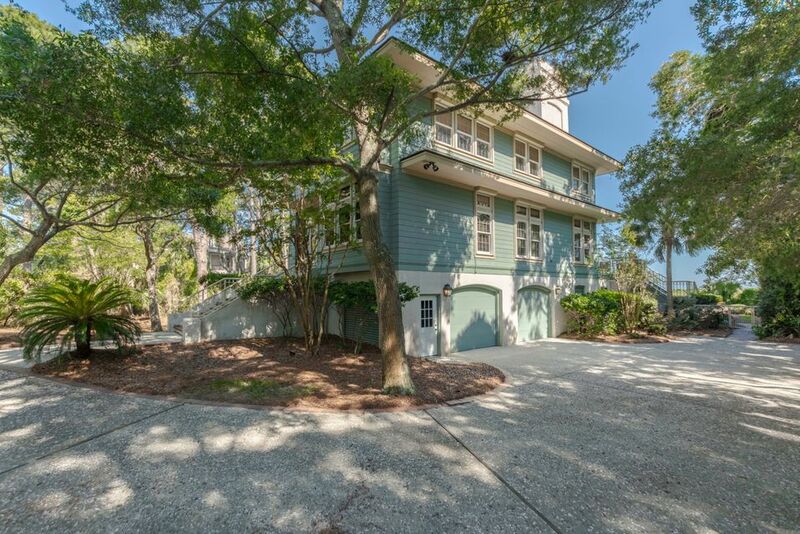 **KIC Golf Membership Opportunity** This stately, 3 story home is A Must See! 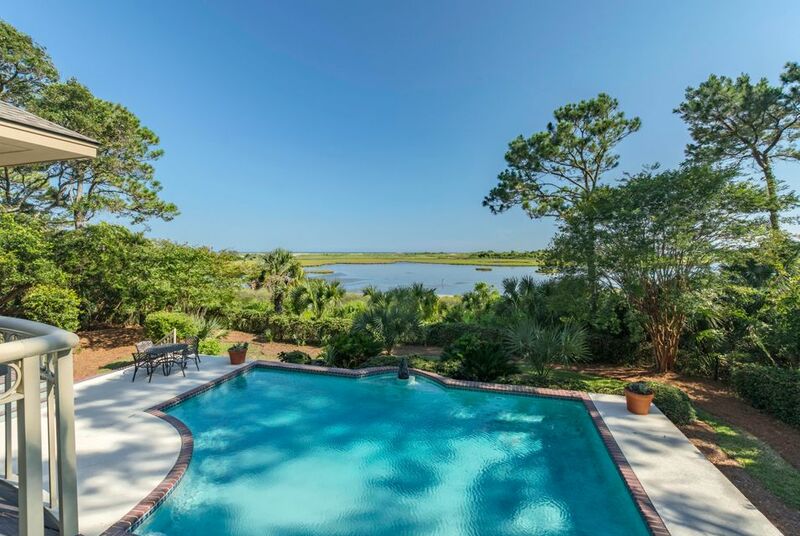 Arguably one of the best locations on the island, providing views of Atlantic Ocean, the legendary Ocean Course Golf Course , and Ibis Pond. 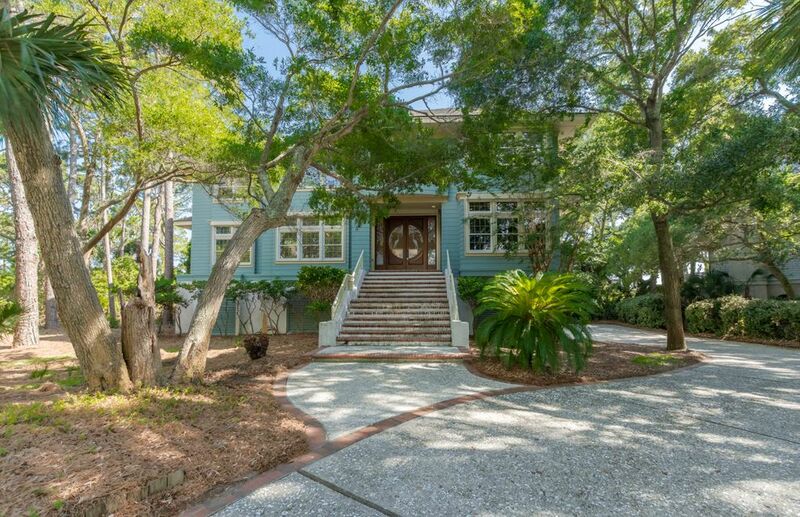 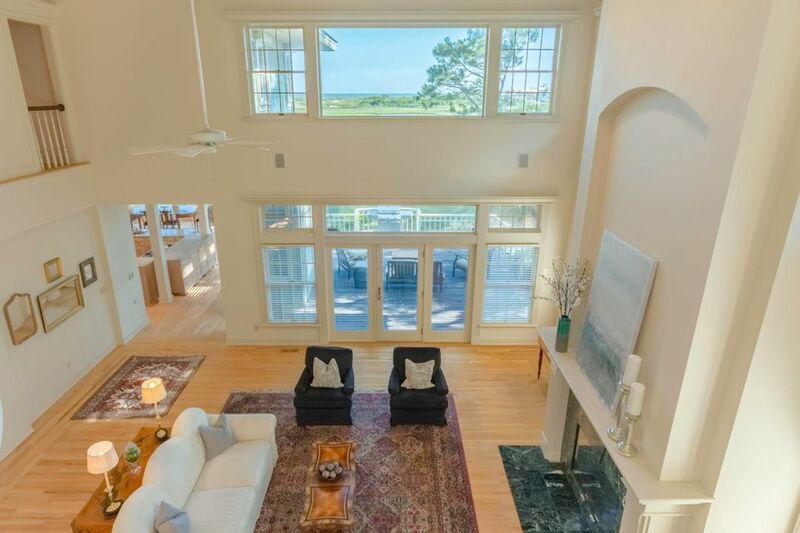 The elevated home is situated on over half an acre lot on Ocean Course Drive, behind the second security gate of Kiawah Island, SC. 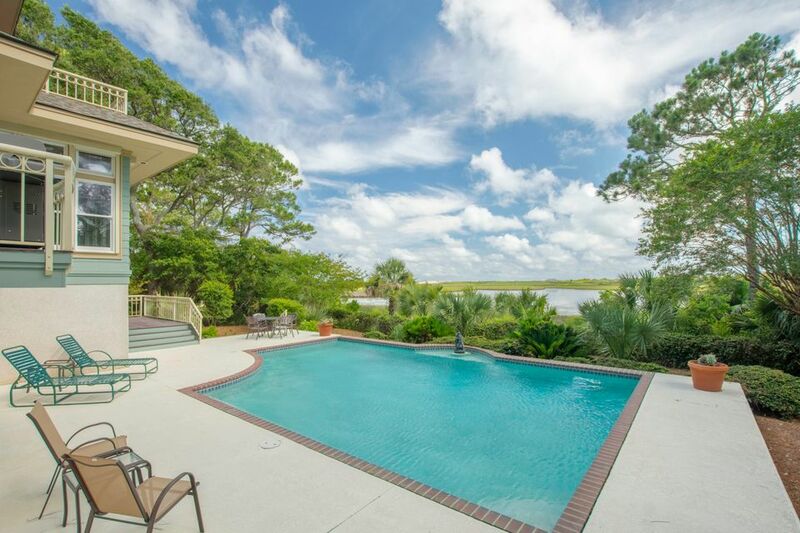 A short walk or golf cart ride to The Beach Club to enjoy dining, drinks, pools and beach access. 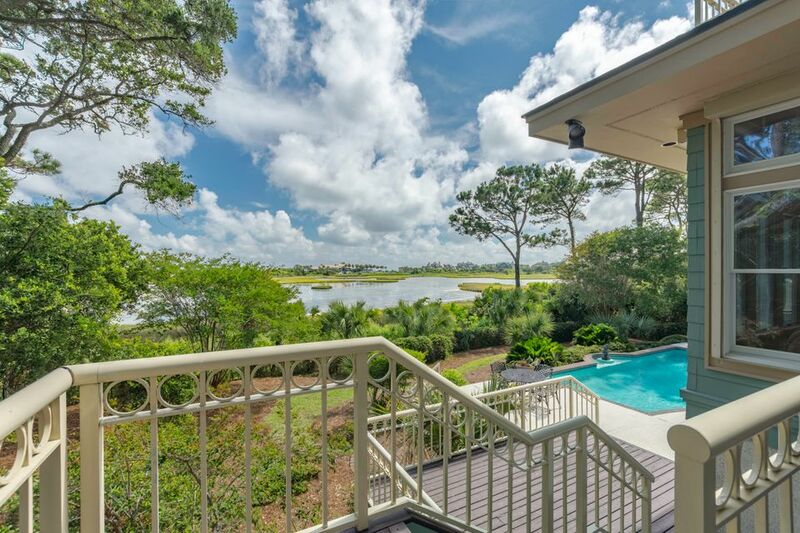 Or spend your days teeing off on world famous golf courses like The Ocean Course. 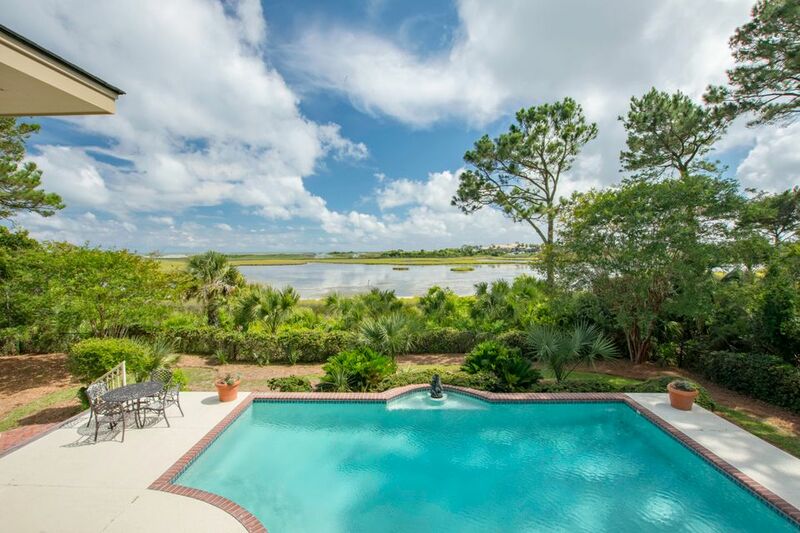 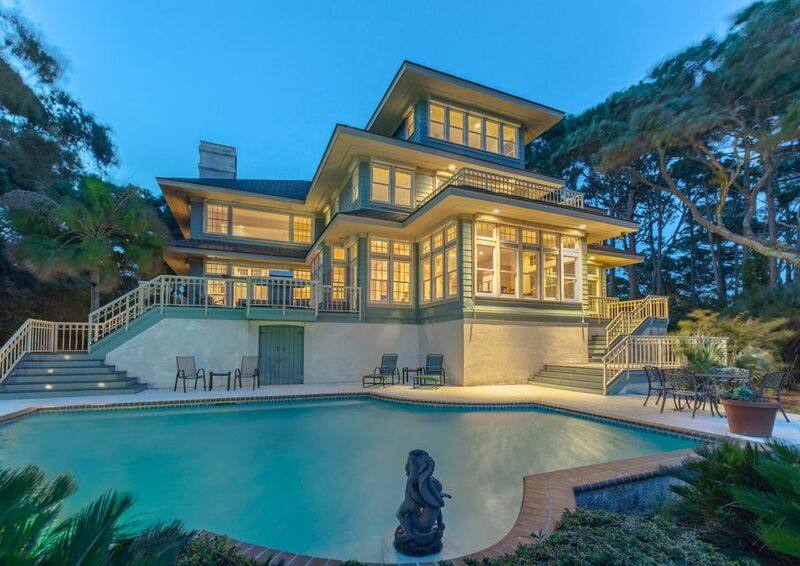 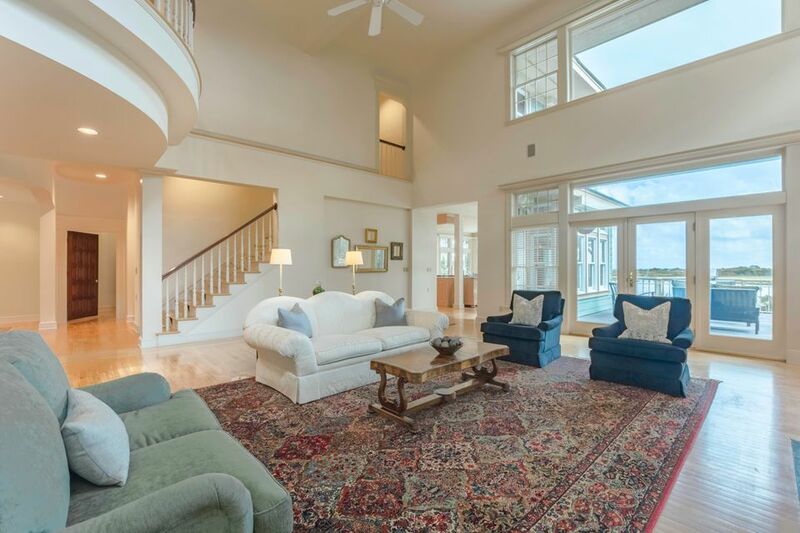 With over 7,000 square feet, 6 Ocean Course is an impressive six bedroom home built by Koenig Construction - one of Kiawah Island's finest builders - who took full advantage of the spectacular views of Kiawah Island. 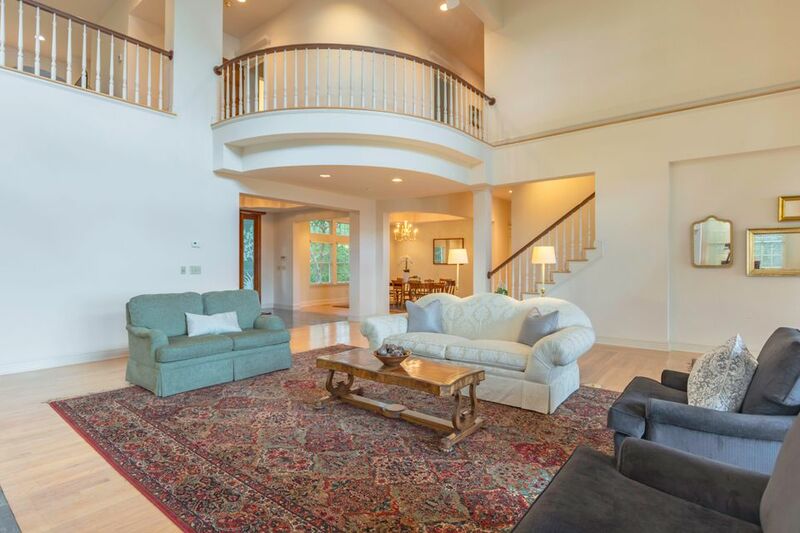 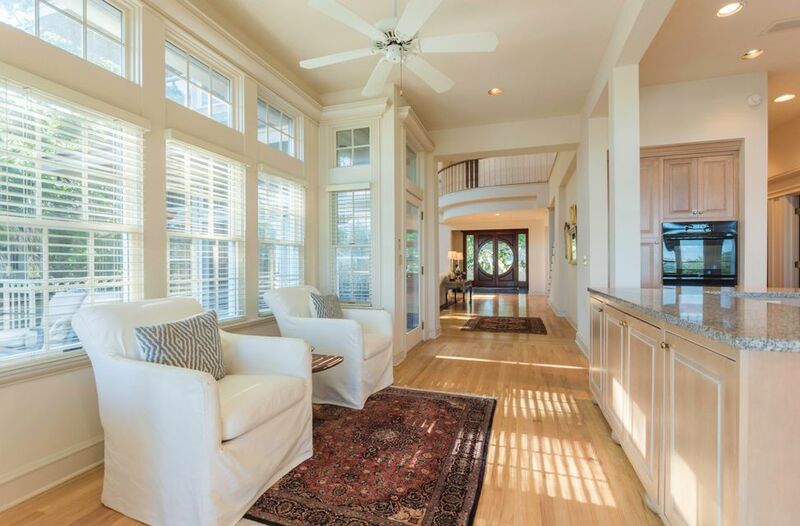 An open floor plan and expansive windows fill the home with natural light. 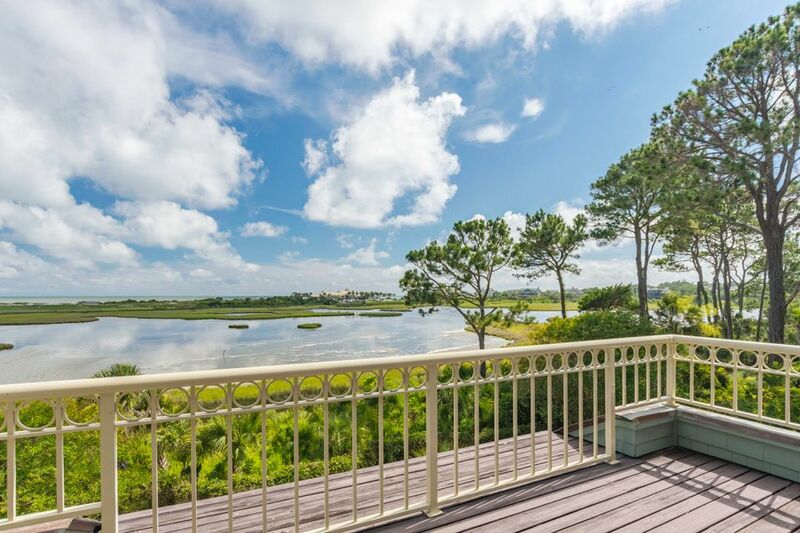 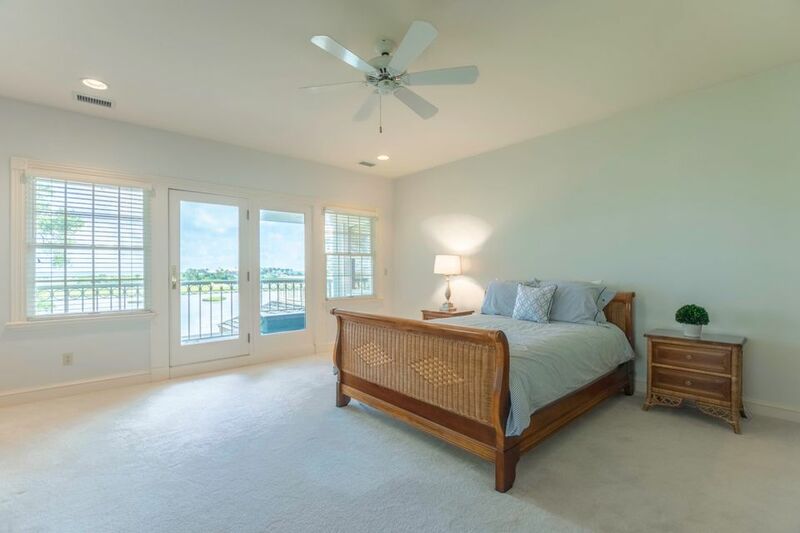 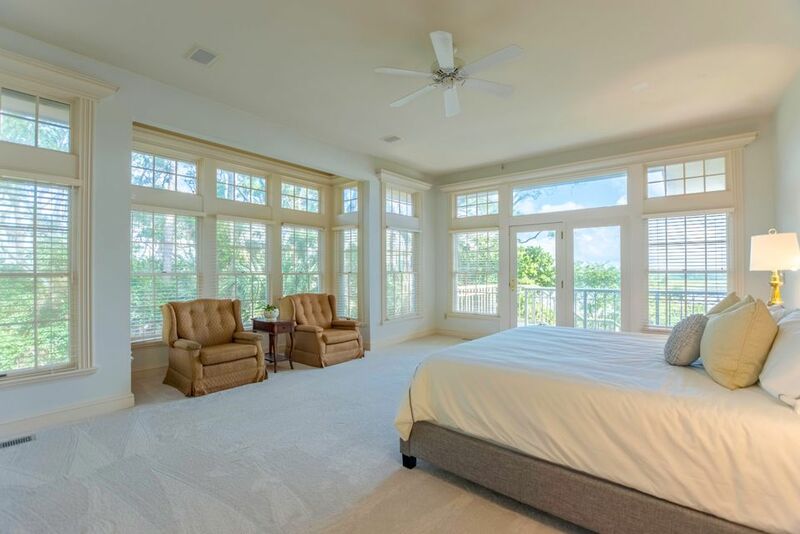 Revel in ocean views from virtually every room, three bedrooms offer private balconies overlooking the pond, golf course, and ocean. 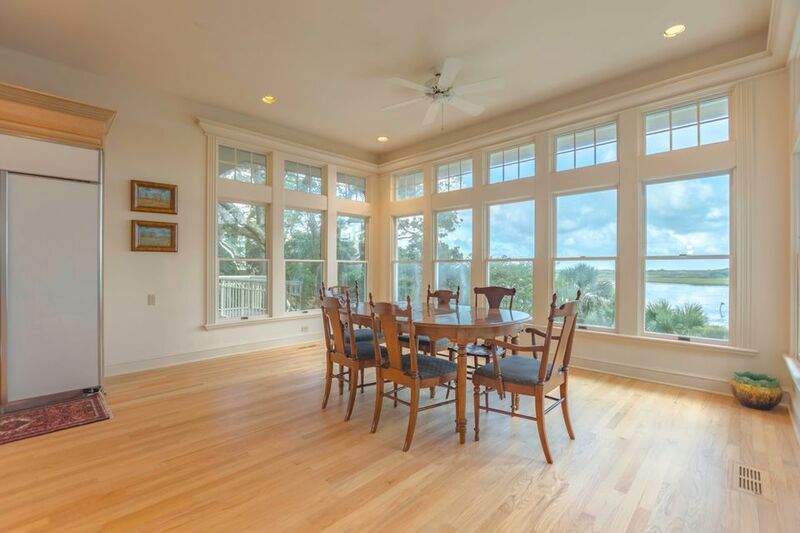 As you enter the home you are immediately captured by the impressive views. 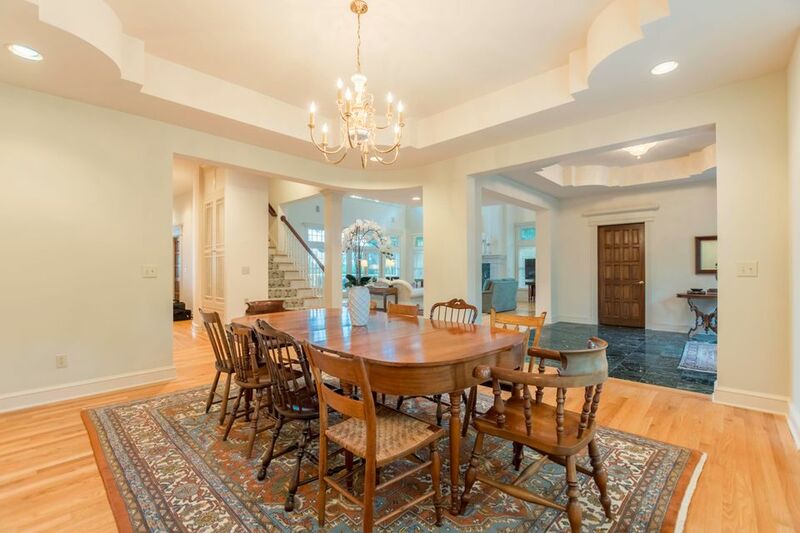 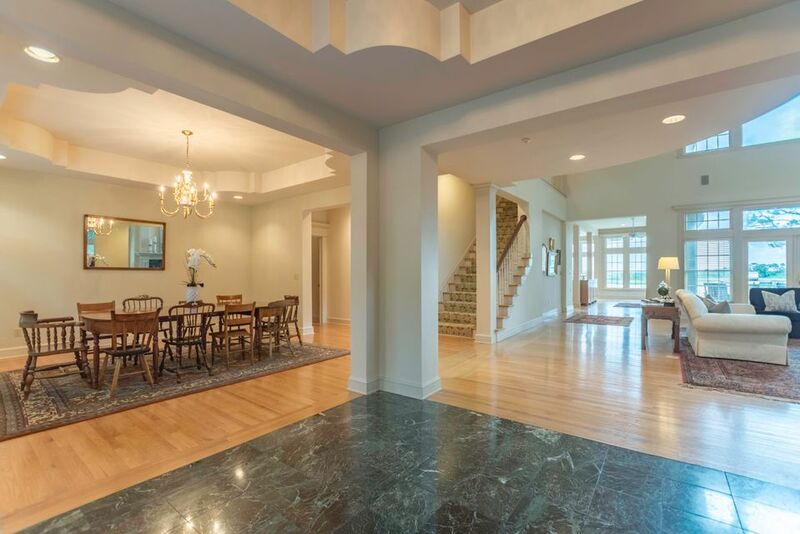 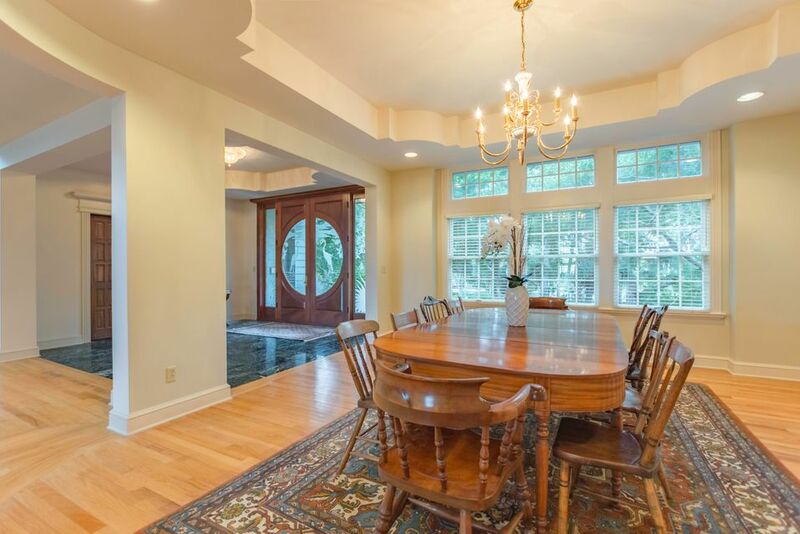 Off the entry is the formal dining with beautiful tray ceilings and a library with custom cabinetry and handsome wood paneling. 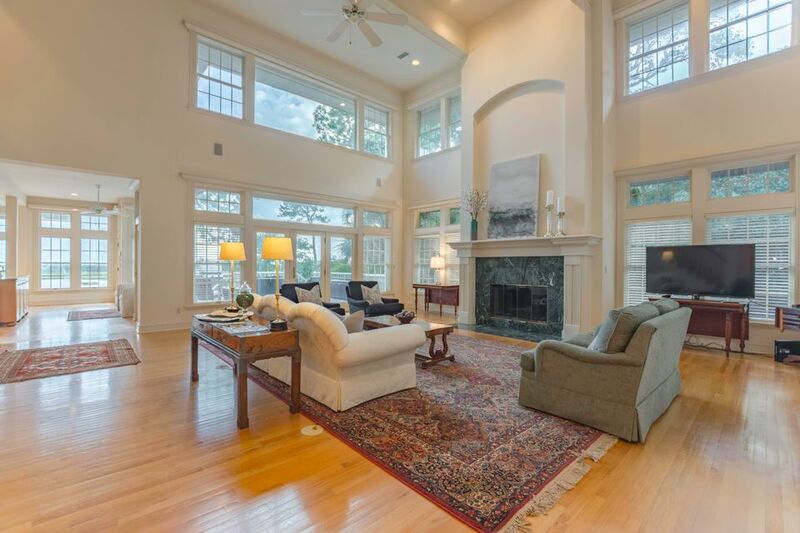 The sizable living room features a wood-burning fireplace and access to the deck. 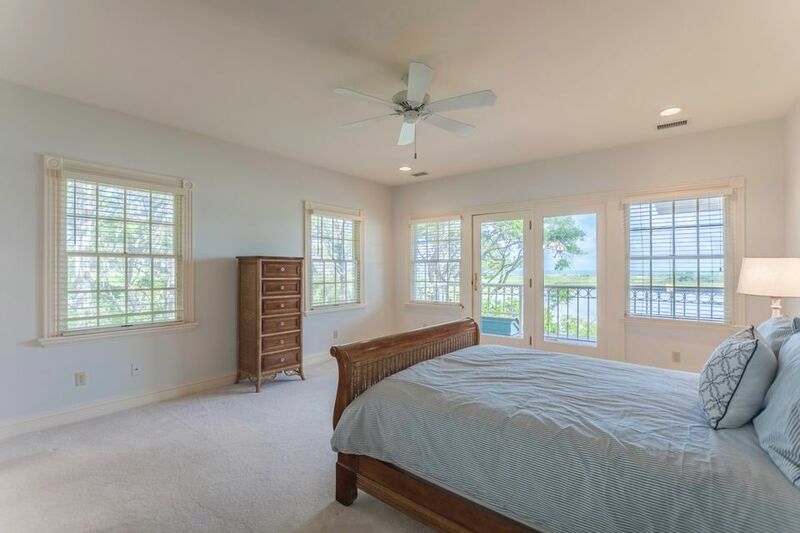 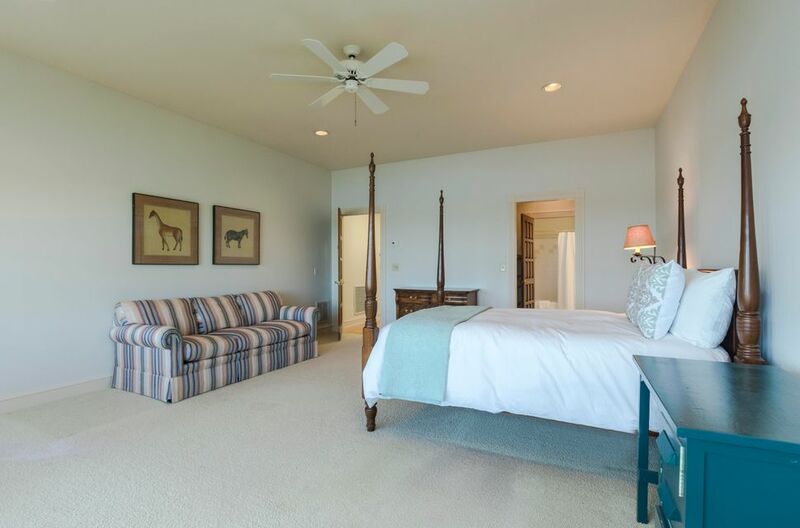 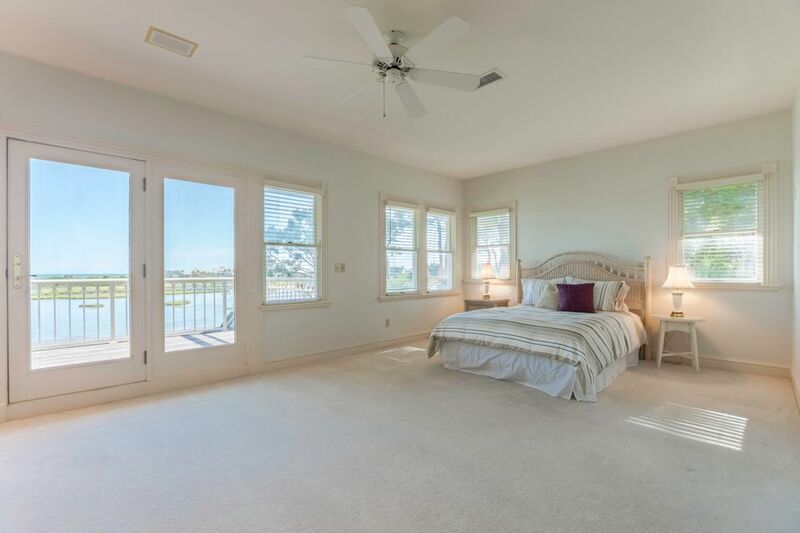 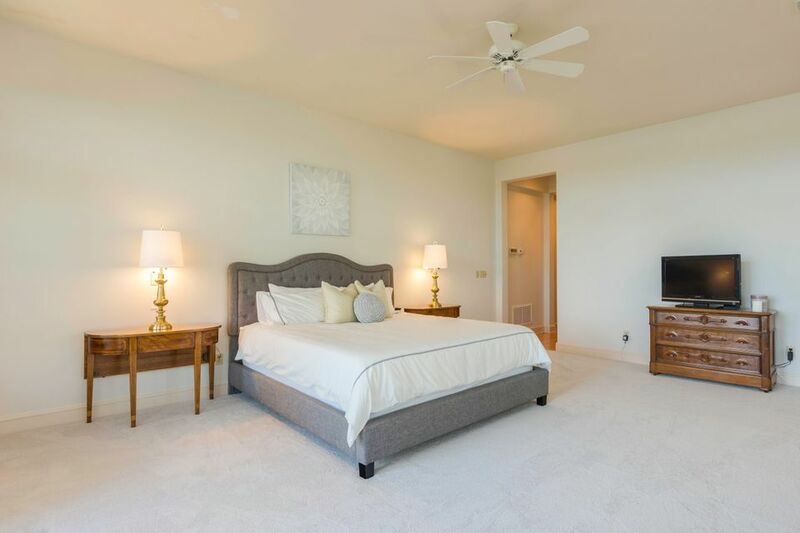 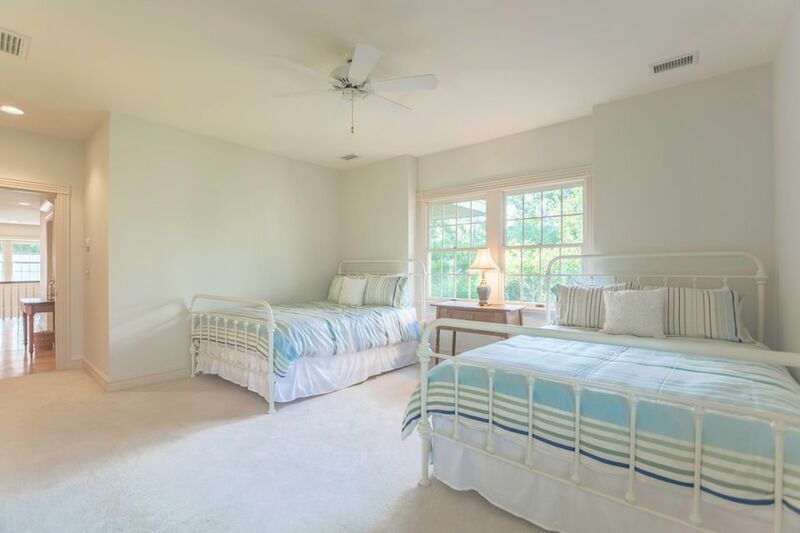 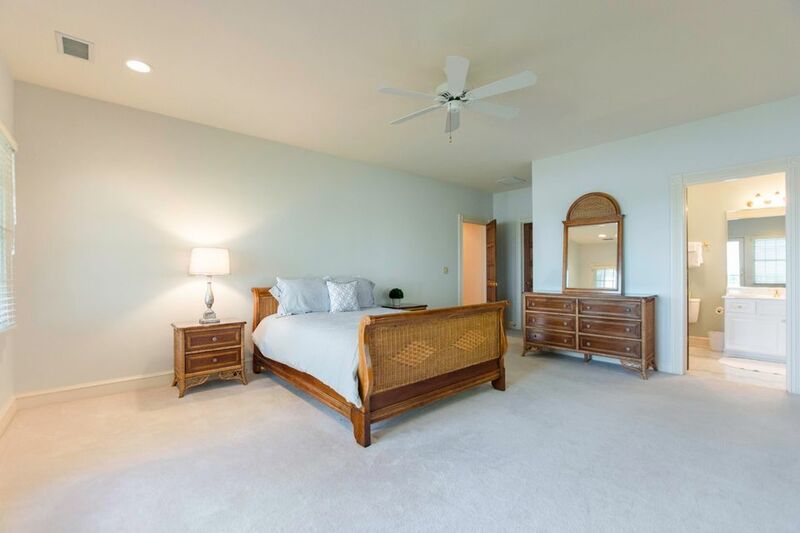 The master bedroom suite is located on the main floor with an impressive closet providing ample built in shelving. 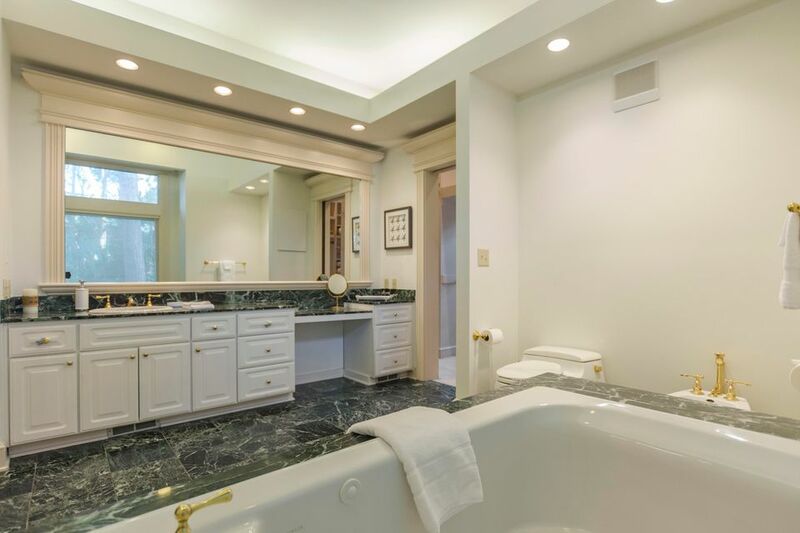 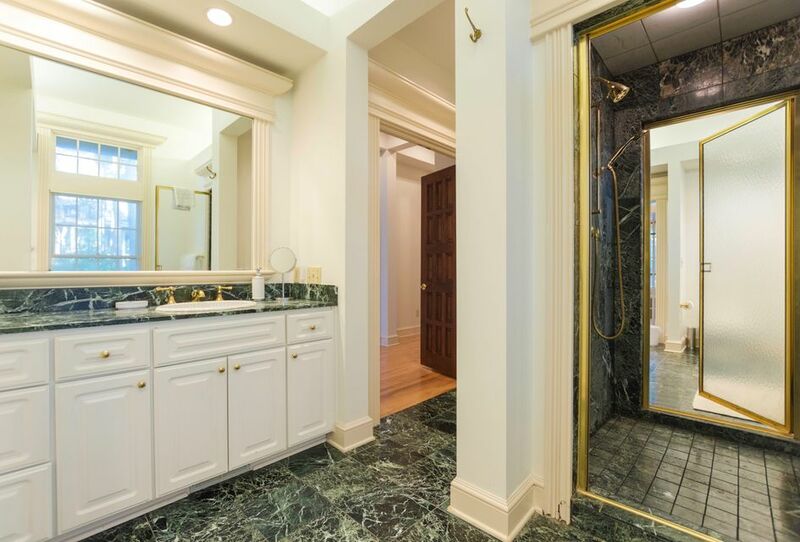 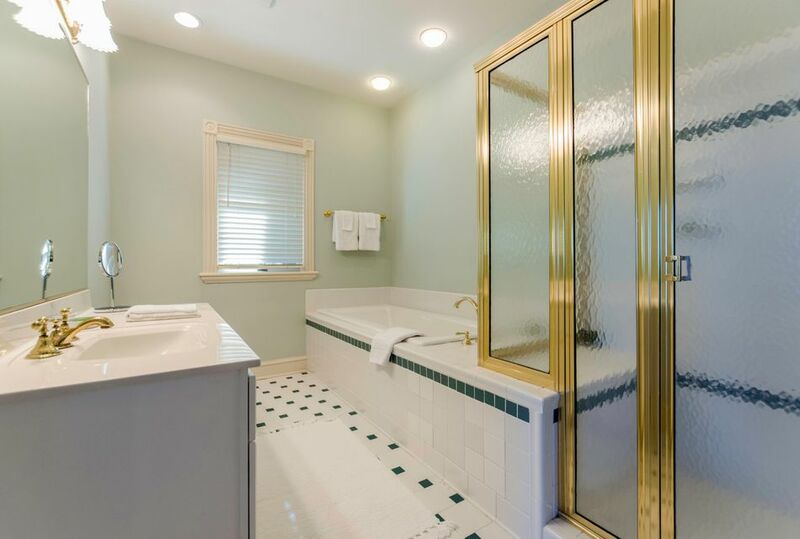 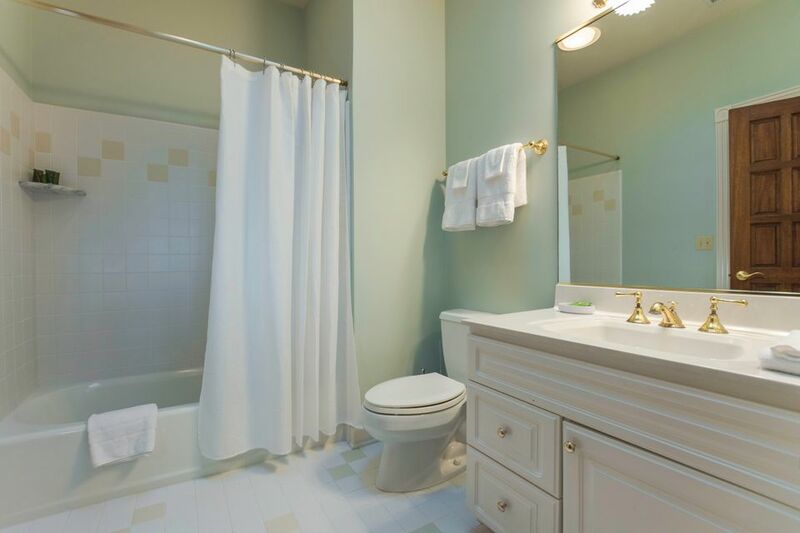 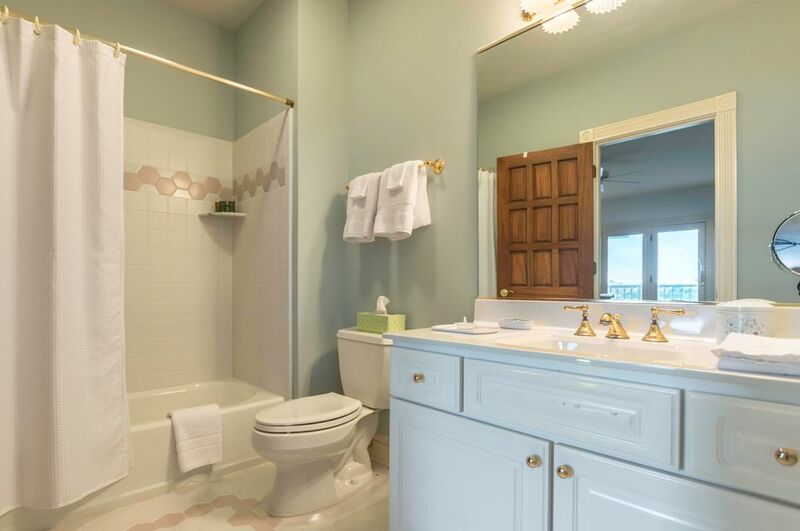 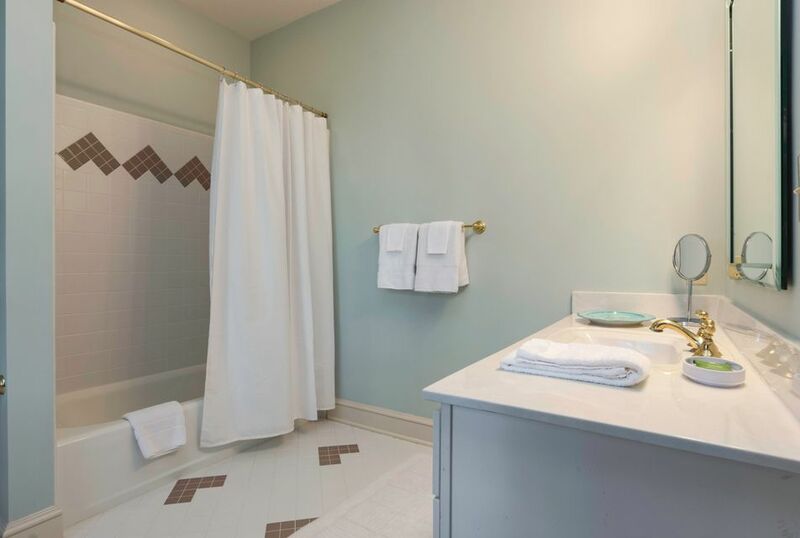 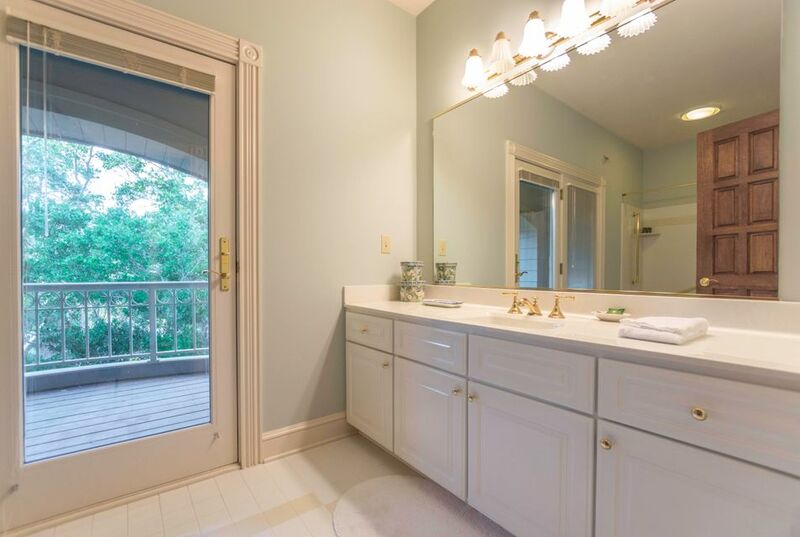 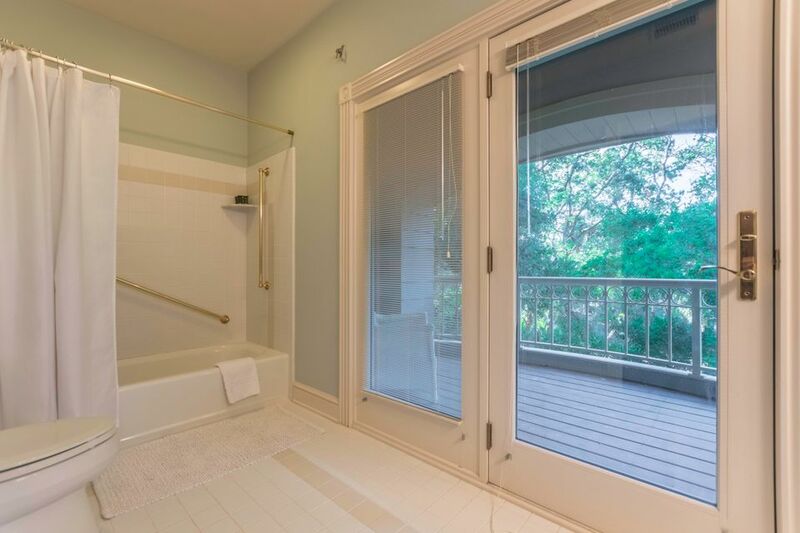 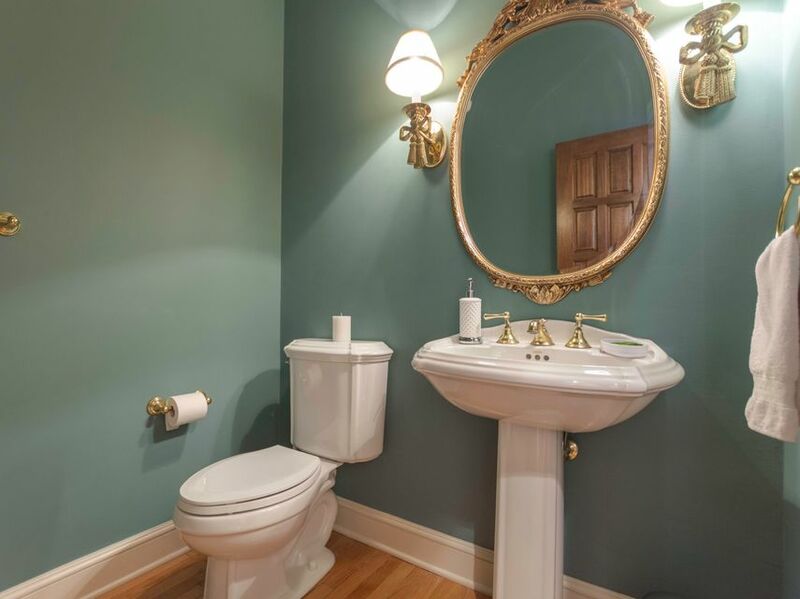 The master bathroom offers his and hers vanities with a garden tub and enclosed shower. 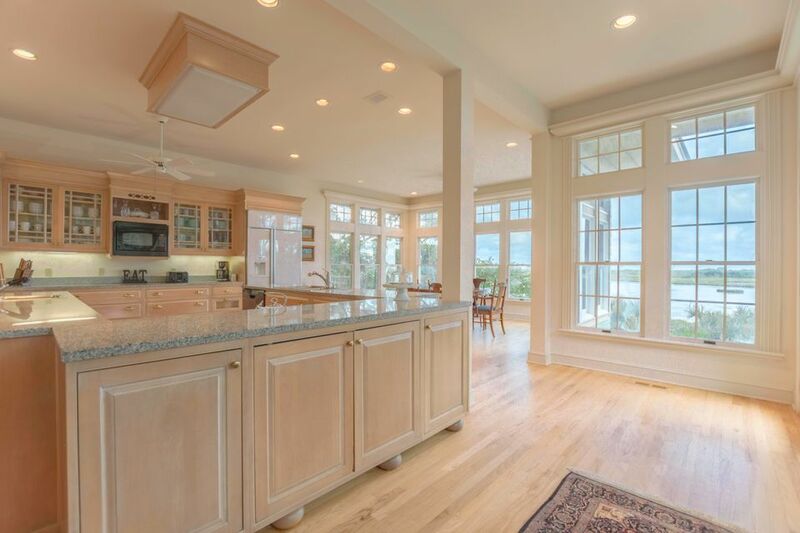 A grand kitchen is located at the back of the home, overlooking the private pool and ocean. 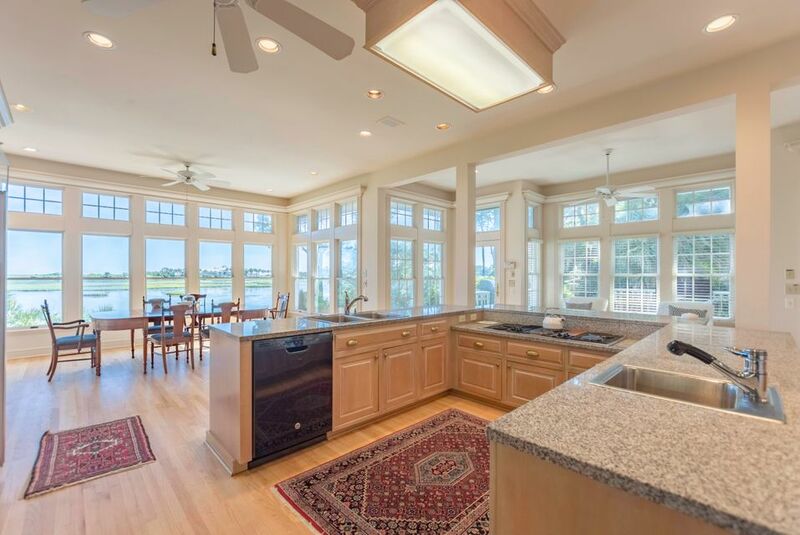 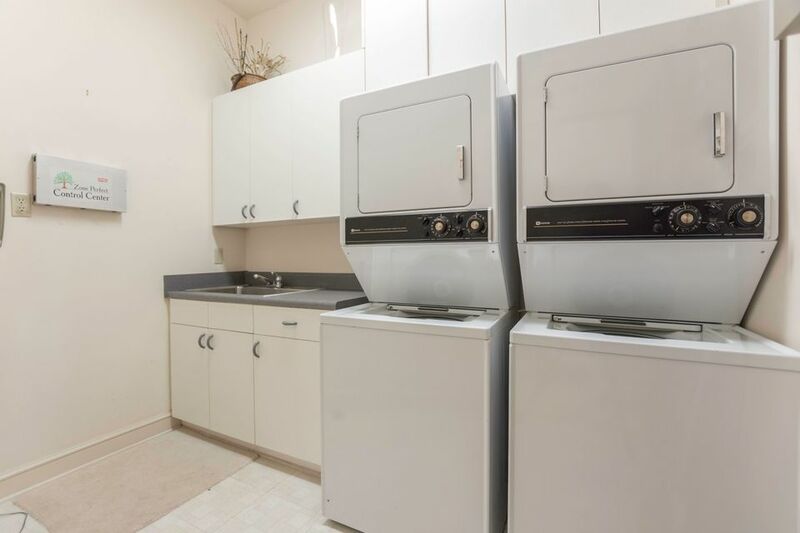 The kitchen is complete with a large u-shaped island, granite countertops, and two ovens. 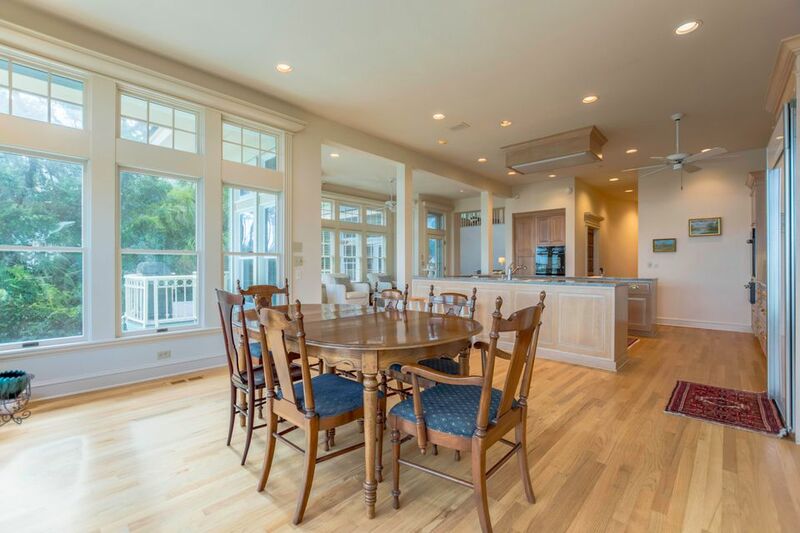 The eat-in-area of the kitchen is a perfect spot to enjoy morning sunrise coming up over the ocean. 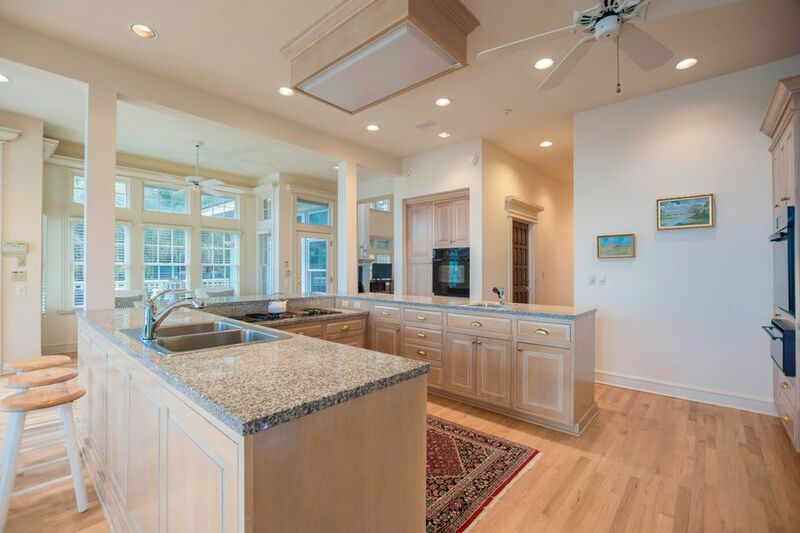 Abundant cabinet space, including glass front cabinets and a built in china cabinet complete the dream kitchen. 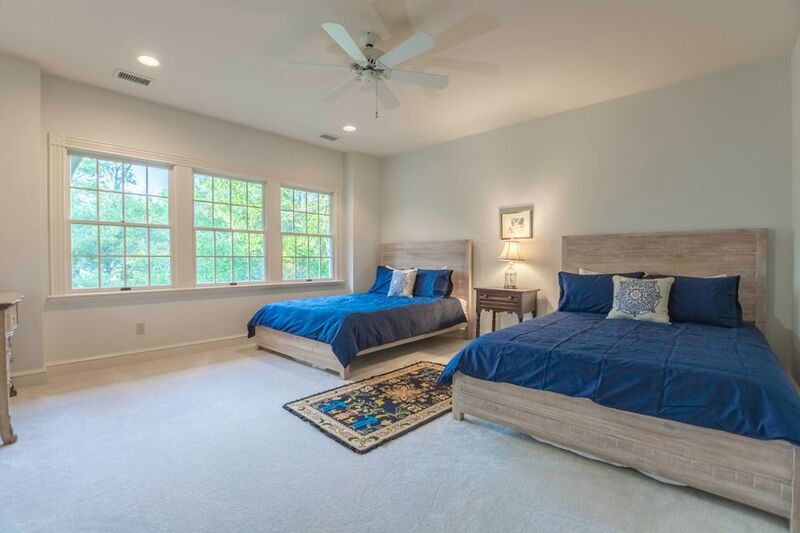 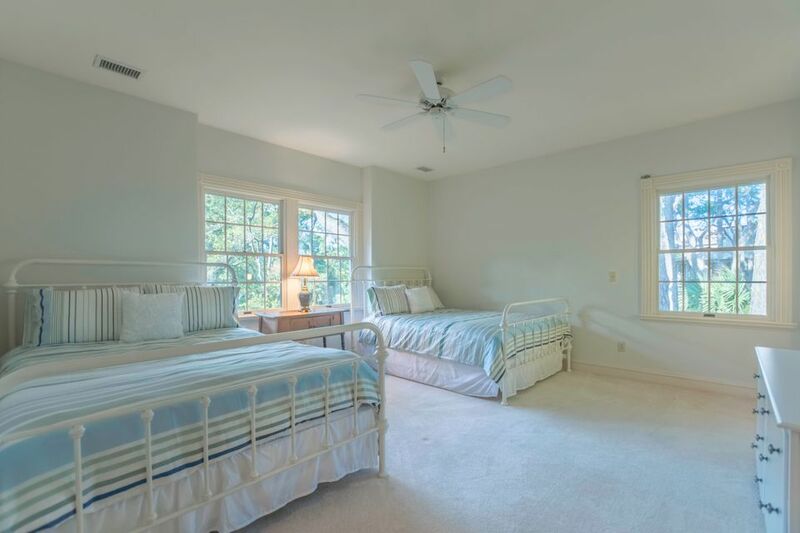 Located on the second floor are four large bedrooms with private bathrooms and walk-in closets, as well as a loft overlooking the living room. 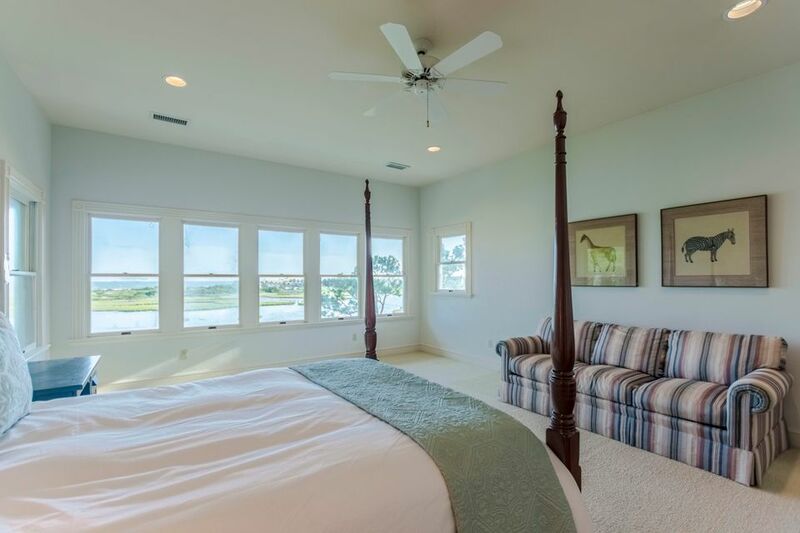 The third floor reveals the sixth bedroom with windows taking in a spectacular bird's eye view of the ocean. 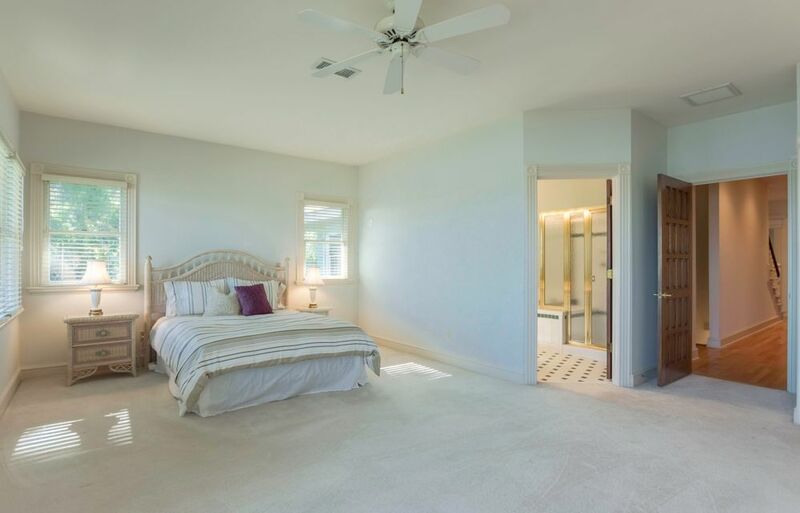 This bedroom has its own private bath and closet. 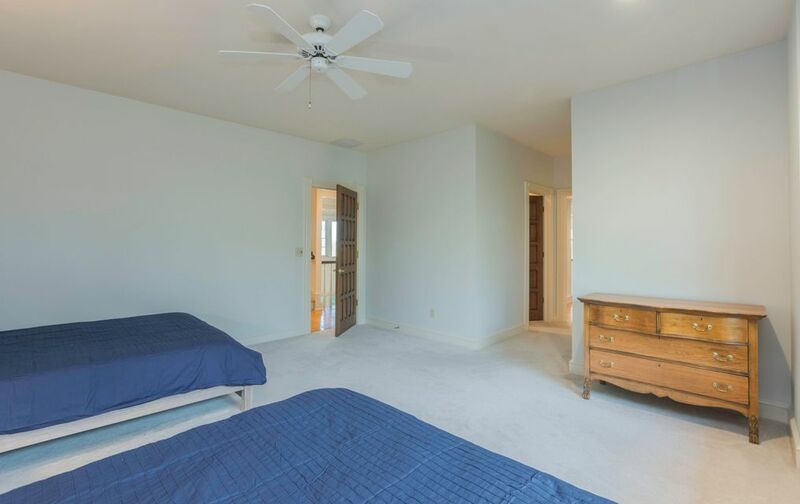 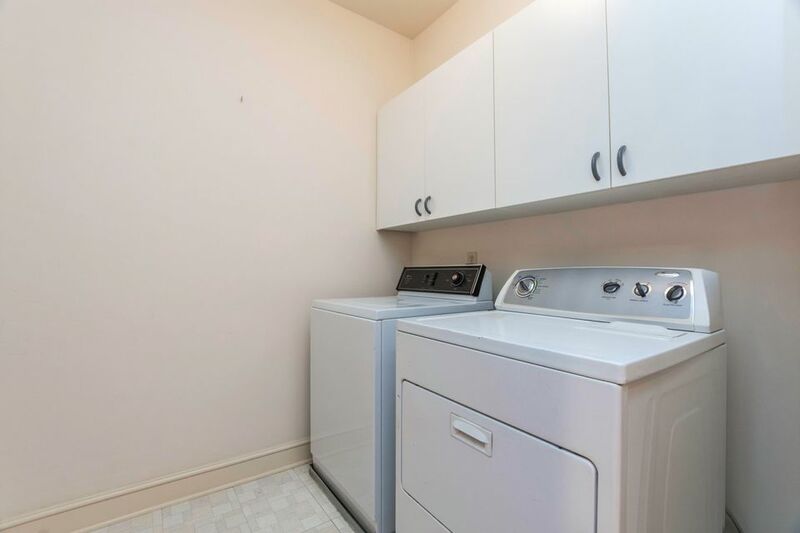 Plentiful storage space on the third floor includes a cedar closet. 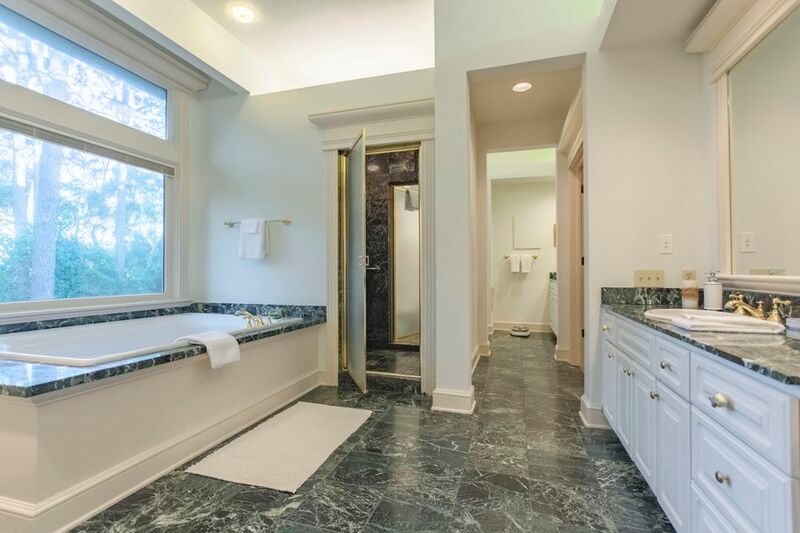 The home is complete with an elevator providing access. 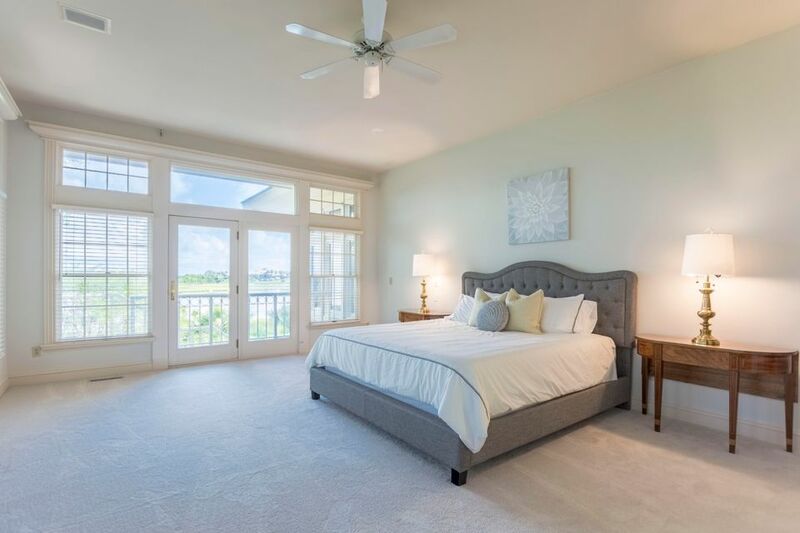 A feature you won't want to miss at 6 Ocean Course is the deep, oversized, two car garage that will easily fit three cars or boats. 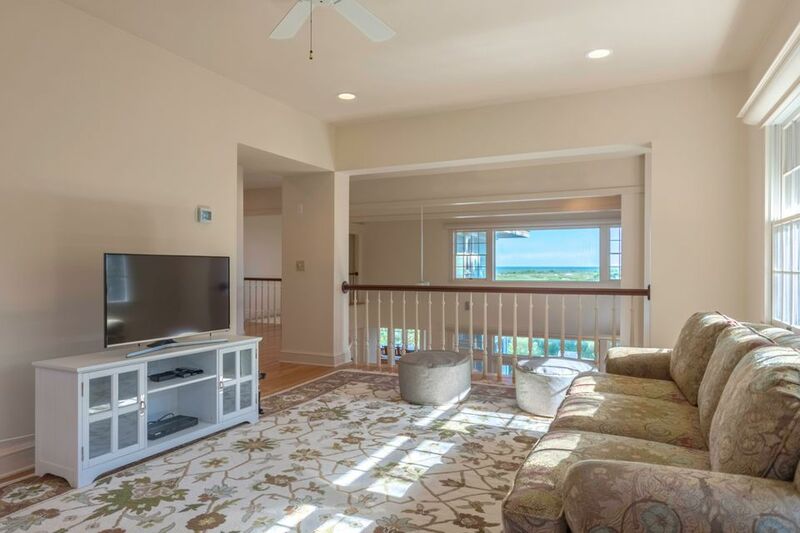 The lower level of the home is complete with work areas, storage closets, and space to set up exercise equipment and store all beach gear. 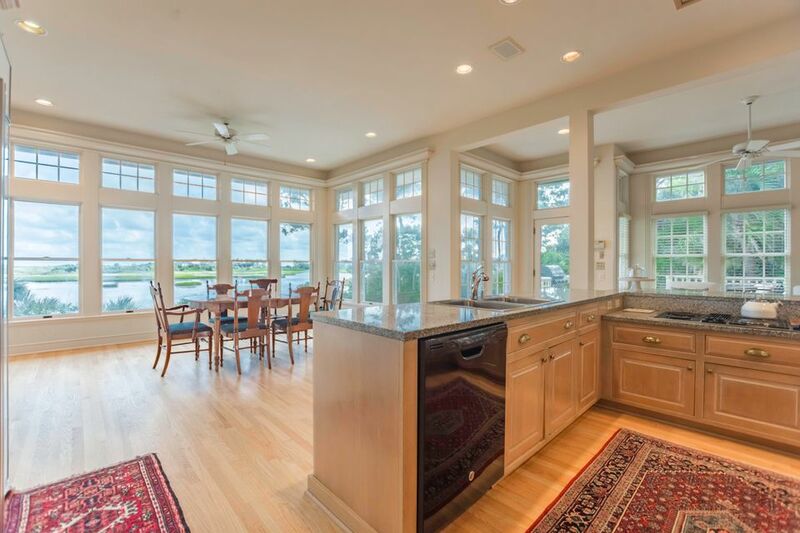 There's even shuffleboard ready to go! 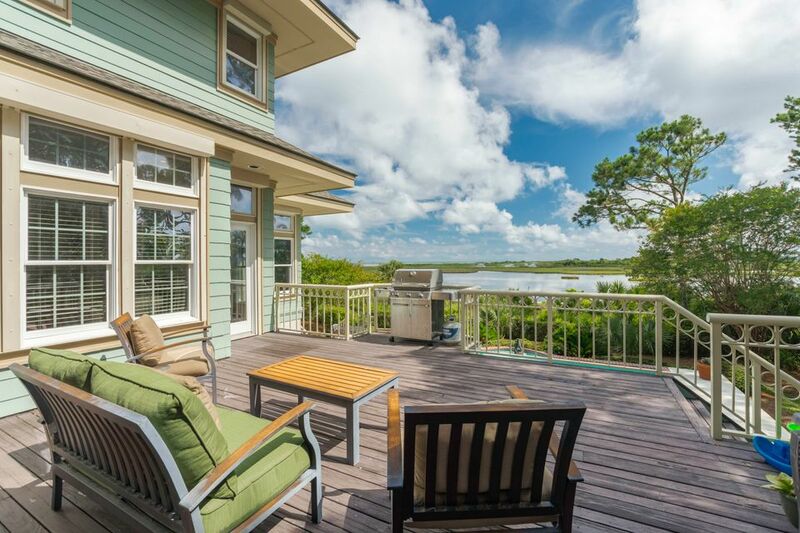 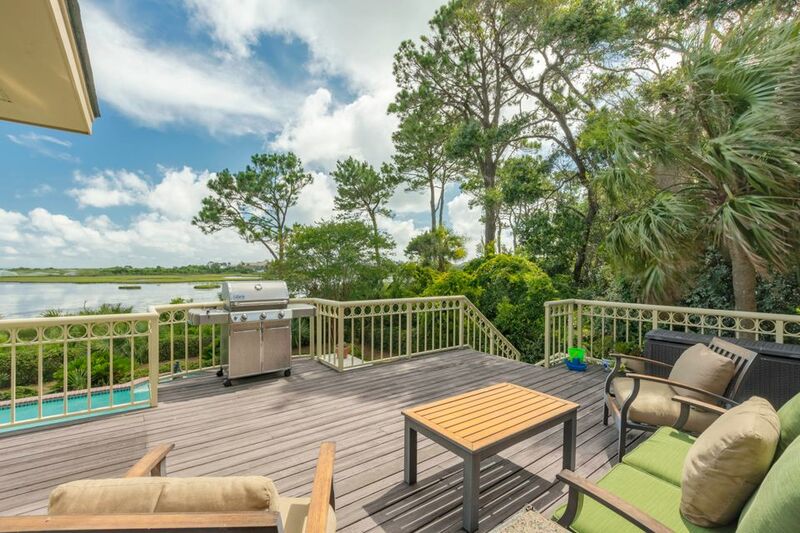 Enjoy grilling on the back deck or just soaking up the salty air. 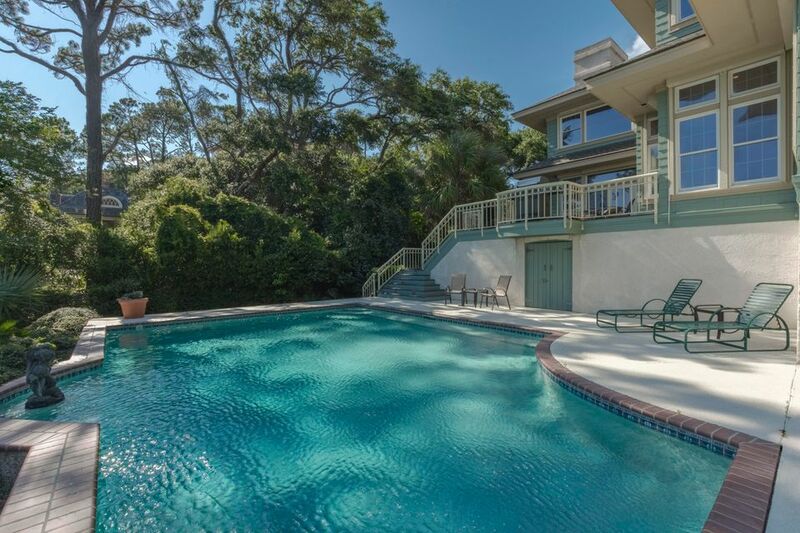 Summers are spent in the private pool and serene surroundings from the pool deck. 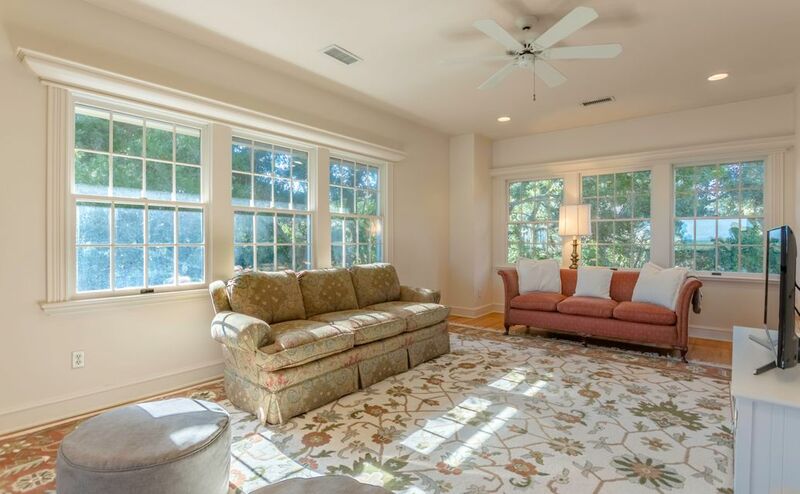 Mature landscaping and a back yard fenced in with jasmine offer a natural enclosure. 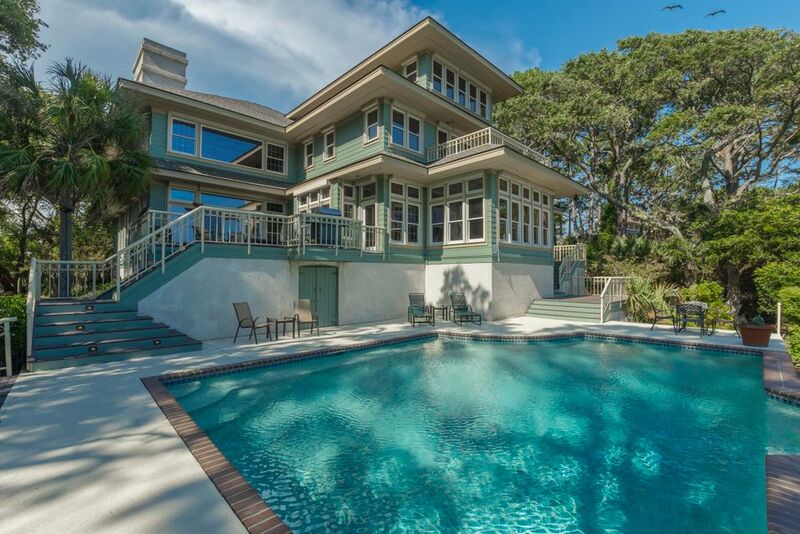 This home has stood strong in all the recent storms, suffering no damage or water intrusion. 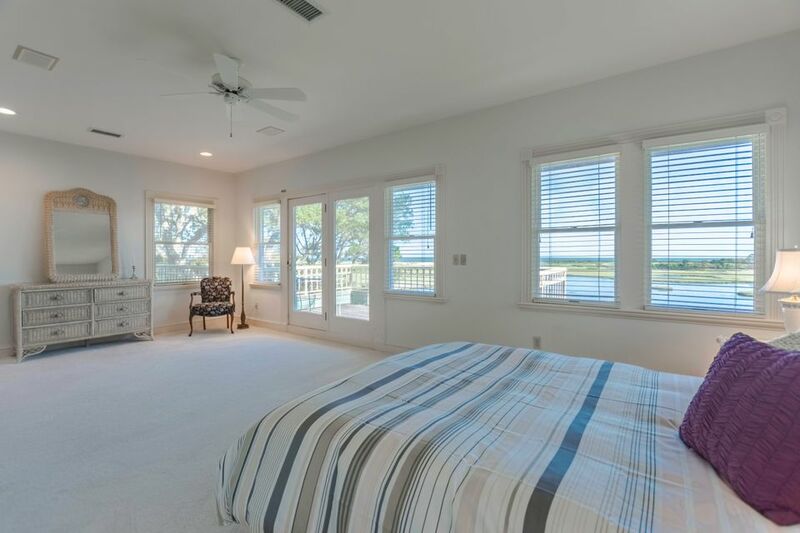 The home is built elevated and is fitted with automatic hurricane shutters, easy to close up an secure home in any event.